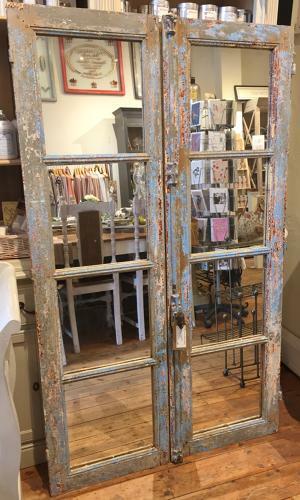 Stunning pair of French doors now mirrored. The doors retain many layers of original paint. Please contact us for more information.